Thank you for your order placed on our website www.bactonbears.co.uk, Jeffries of Bacton (Sales). These terms and conditions apply to consumers purchasing good through our website. Jeffries of Bacton (Sales) will not disclose buyers information to any third parties. Every effort is made to ensure there are no typing errors on the website and to portray items accurately, however, slight variations may occur. All sizes quoted are approximate and images are as accurate as photographic and publishing processes allow. Every effort is made to ensure accuracy of the content of this website. All prices displayed include 20% VAT, but do not include delivery charges. These are outlined on our Delivery page. We will acknowledge receipt of your order and payment by email shortly after the order has been placed. All items are subject to availability. If we are unable to fulfill an order for any reason, we will inform you as soon as possible. For any information concerning your order, please email or telephone us quoting your order number. If you notice any errors on our confirmtion of your order, please notify us as soon as possible so we can correct them before despatch. Please inspect all products thoroughly upon receipt and notify us upon receipt that there is a problem. Please refer to our Returns Policy and Procedure for returning any items. Payments are processed through a secure server and no payment details are stored by our website. We accept payment by debit or credit cards, with the exception of Amercan Express. 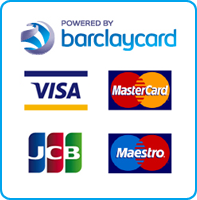 If you prefer not to use our secure payment system, please feel free to make contact via email or telephone. Please refer to our Returns Policy and Procedure. You can either contact us by email, [email protected], telephone us on 01449 781131/01449 781087 (during opening hours), or visit our shop at Station Garage, Broad Road, Bacton, Stowmarket, Suffolk IP14 4HP.